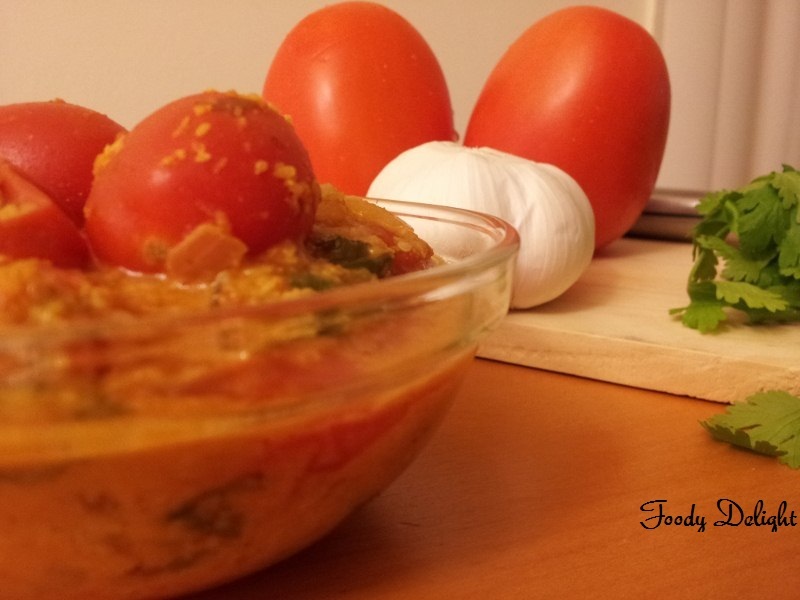 This recipes can be prepared by usual Indian tomatoes. For the trial I had used leftover cherry tomatoes and the recipes was very delicious and tasty.You too can try this Salan and enjoy its tangy and soury taste . In the wide bowl add peanut powder, sesame seeds,coconut powder,cashewnuts,all the paste and all dry masala. Then add chopped onion ,chopped cilantro and salt in the same mixture. Place the deep bottom pan with 1/4 th of water into it on the medium flame. When water boils up add cherry tomatoes. Boil till tomato becomes soft . If you want you can peel the tomatoes. since these tomatoes are very soft,its very difficult to remove the skin. I used the tomatoes with skin in the salan. Take out the boiled tomatoes from the pan. Do not throw the water which you had used for boiling the tomatoes.You can use it for gravy. When the oil heats up,add cumin seeds.Let it splutter. Now add salan masala and fry it till oil leaves out the masala. Then add boiled tomatoes and remaining water. Salt can be added as per the taste. 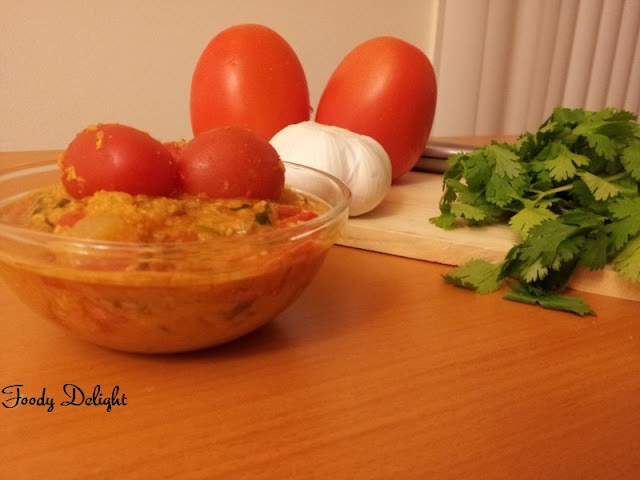 Tangy Tomato Salan is ready to serve . 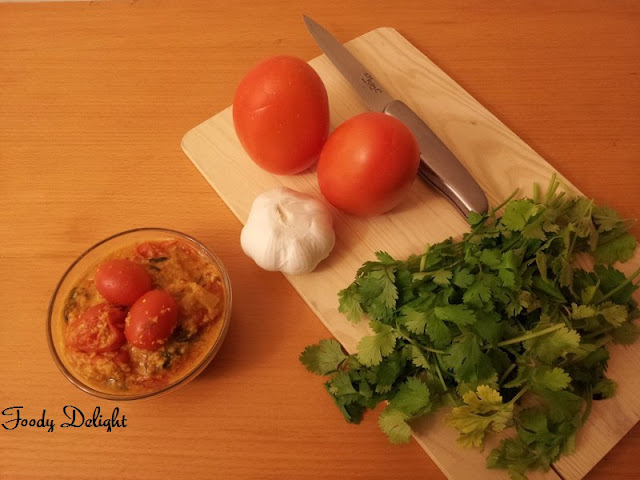 Tomato Salan can be serve with plain rice.